As exciting as the release of a new Hunger Games instalment can be, I had some reservations about Mockingjay – Part 1. Despite being the shortest book in the trilogy (by a few pages) its filmmakers are following in the footsteps of Harry Potter and the Twilight series and splitting the final novel in two – ah, that old chestnut. While this has previously resulted in some terrific action-packed finales (in the Part Twos) it’s also meant we’ve sat through an entire Harry Potter film that is mostly set in a tent, and a Twilight film that mostly consists of Bella and Edward bumping and grinding. The Part Ones are often the weakest link of the entire franchise. 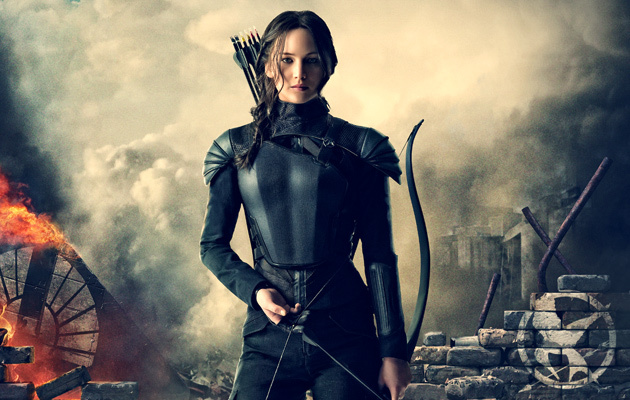 Mockingjay – Part 1 is similarly the least action-packed of its franchise, but it is necessary. 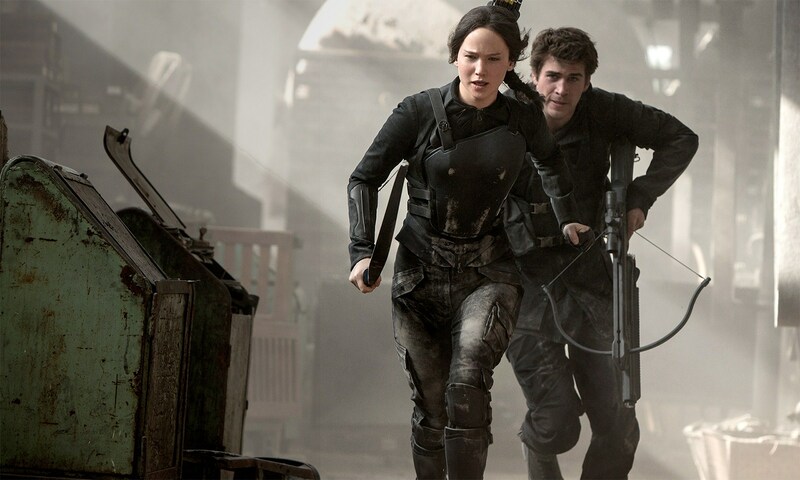 Following on from where we left off in Catching Fire, Katniss (Jennifer Lawrence) has survived the games yet again, and is now temporarily safe in District 13, while Peeta (Josh Hutcherson) has been taken hostage by the Capitol who are now battling another uprising. 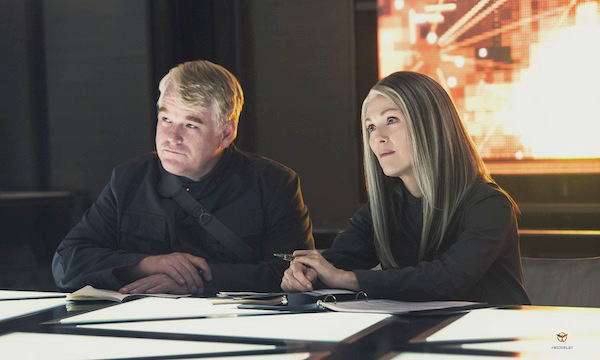 President Alma Coin (Julianne Moore) and Plutarch Heavensbee (Philip Seymour Hoffman) appeal to Katniss to become their Mockingjay, the symbol of the rebellion. She agrees, on the condition that Peeta is rescued. I refuse to concede that there could possibly be a better young adult series than the Hunger Games (at least in terms of film adaptations). Twilight, Divergent, The Maze Runner – they’ve all got nothing on this. Themes concerning war, rebellion, propaganda, and the media are mighty powerful, and important issues for its younger readers to consider. The Hunger Games is now part of the VCE curriculum, and Twilight ain’t never getting that honour. Horny vampires just don’t target the big issues. That’s not to say you have to get bogged down in thematic exploration. All the films provide solid entertainment, though the current one is more talky, less action, than the rest. Nevertheless, it is consistently engaging, and the two hour running time is just right. Arguably the funniest part of the film is when Katniss is exposed to be a poor actress, perhaps because we know that Jennifer Lawrence is anything but. She doesn’t disappoint here (does she ever?) and one has to wonder what this franchise would be with a lesser actor involved in the lead role. Her kissing scene with Gail (Liam Hemsworth) is made all the better by the knowledge that J-Law has just eaten tuna or garlic as part of a prank inflicted on her co-star. Oh, Jennifer, you trickster you. Josh Hutcherson has lifted his game in the latest instalment, although his screen time is significantly reduced compared to the previous films. I am still not sold on Liam Hemsworth being anything more than a pretty face, and we have Sam Claflin as Finnick Odair for that. Elizabeth Banks as Effie and Woody Harrelson as Haymitch are a delight, and Philip Seymour Hoffman’s presence casts a sombre tone over the film, as the two Mockingjay films were his final ones. Julianne Moore is a welcome addition as District 13’s President Coin, balancing a steely expression with an undercurrent of heroic passion. 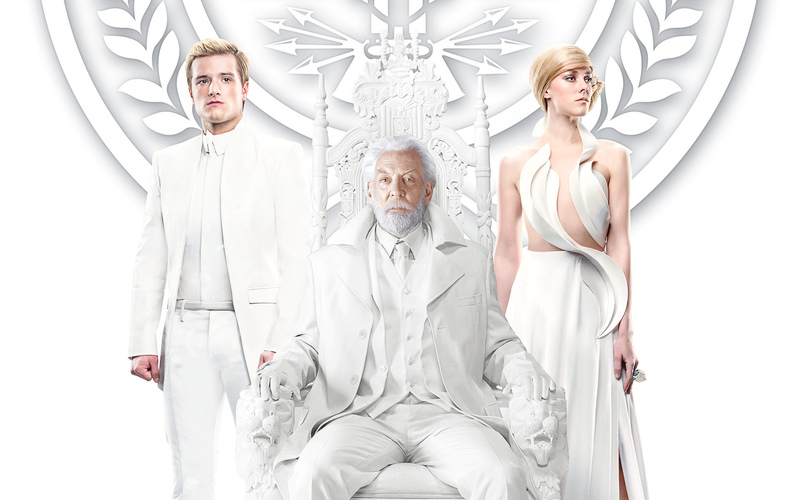 Donald Sutherland continues his ominous turn as President Snow, at once a Santa Claus lookalike and a vicious dictator. Sadly, there is very little of Stanley Tucci as Caesar Flickerman, but there are plenty of new additions. I had some concerns that the additional characters in Mockingjay would prove too many, but it was relatively easy to follow who was who. Maybe this will change in Part 2 but the splitting of the final novel may have helped in this respect. 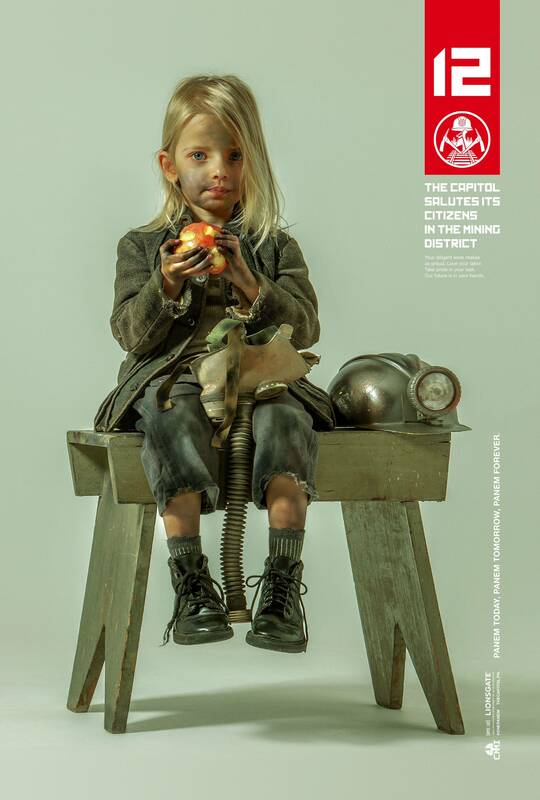 Compared to the previous films which have featured luscious green arenas and the vibrancy of the Capitol, Mockingjay – Part 1 is significantly more drab and dark. Call me superficial, but I miss the Capitol with its ridiculous excess. Let’s hope there’s more to be seen in Part 2. Despite the lack of colour, Mockingjay still manages to look interesting, and at least Katniss’ hair still looks good. 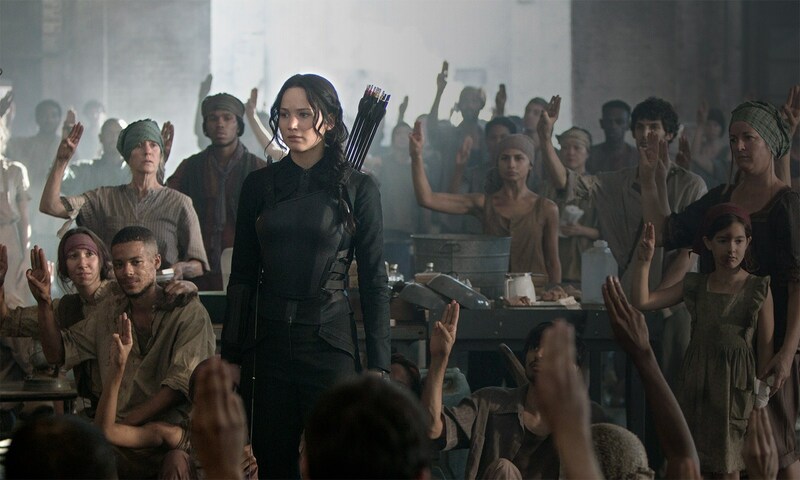 James Newton Howard’s score is solid yet again, and Katniss and the rebels singing ‘The Hanging Tree’ is one of the film’s most powerful moments. Lorde has curated the soundtrack, which consists of her song ‘Yellow Flicker Beat’ from the closing credits and fourteen other songs that do not appear in the film. What the hell is up with that? If you like listening to whiny-sounding music, knock yourself out though. 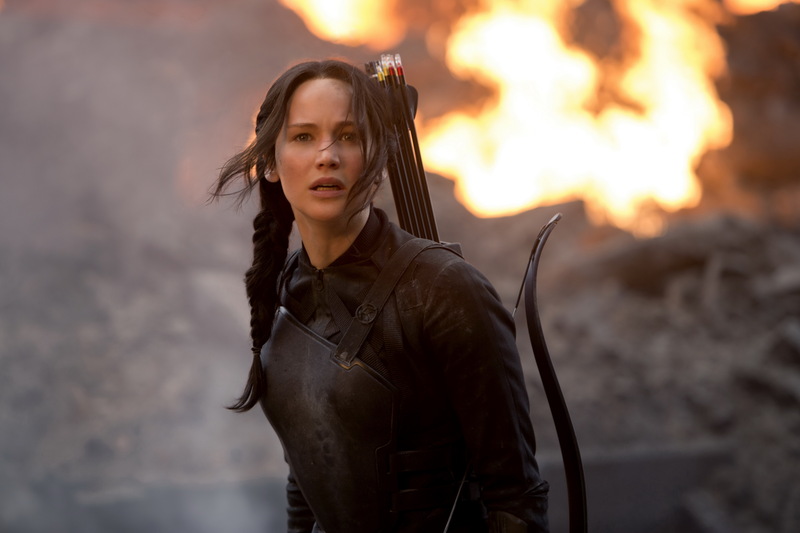 For the most part, Mockingjay – Part 1 merely serves as the set-up to the big finale. This will be the least exciting of the four films but probably the most important. By breaking up the final novel, important plot points are able to be fleshed out, and the audience will be gagging for the follow-up. It’s just a shame about the year long wait.